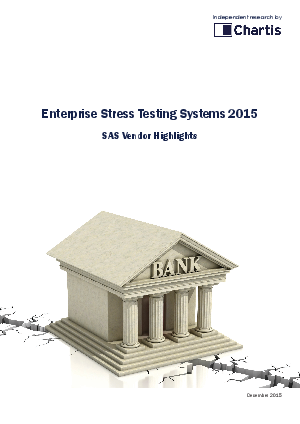 This report from Chartis provides an independent evaluation and description of leading practices from SAS as well as its competitive position in the market using the Chartis RiskTech Quadrant® for Enterprise Stress Testing Systems. • The demand side trends outlining key business and regulatory challenges. • The supply side focusing on the technology landscape for enterprise stress testing.